A high-performance, brushable epoxy adhesive for on-site composite repairs and bonding applications on substrates such as metal, wood, glass, GRP and other composites. 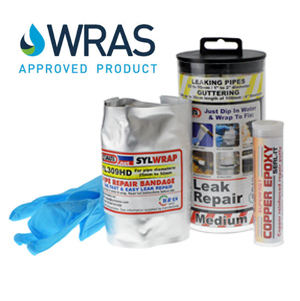 Sylmasta Standard Epoxy System can be used as a lay-up resin for composite repairs and, when used with Sylmasta Fibreglass Tape, can be used to repair, protect and reinforce pipework. Standard Epoxy System 19000 is supplied in a kit of 10 x 225g pre-measured packs of resin and hardener for making multiple repairs.